IGA Australia joined our Mission to help provide access to “Clean Water for All by 2030”. This Mission was initiated by the United Nations. A big thank you to IGA Australia’s team and customers for joining this extremely important mission on 24 January 2018. 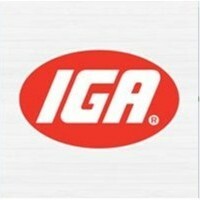 At IGA, we’ve never taken a ‘one size fits all’ approach to the way we do business. We recognise that every one of us is an individual and that each city or town where we have stores is different. We understand that we are a culturally diverse nation of more that 23 million people with different likes and dislikes. As a result, through our network of independently owned stores (all 1,400 of them) we tailor our ranges and brands to give our local customers more of what they like. This includes many of your favourite brands, the ones you may no longer find on shelves in other supermarkets.